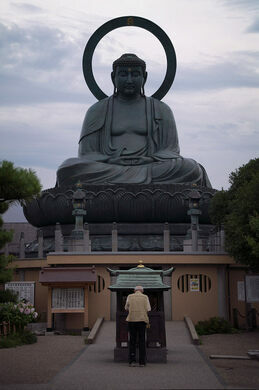 This giant bronze Buddha, the third largest in Japan, is the last in an ill-fated series of statues. 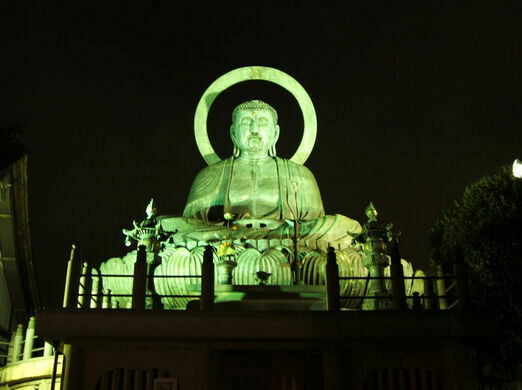 Although a large image of the Buddha has been located in Takaoka since at least 1221, the particular giant Buddha itself has been replaced many times. 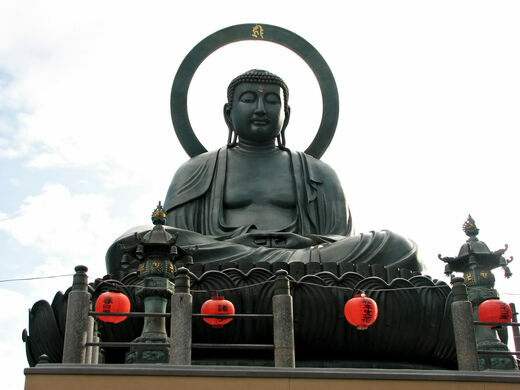 In 1745, a priest at the Gokurakuji temple carved a Great Buddha out of wood and painted it gold, but this particular Daibutsu was destined to burn, and then the next one burned, and the next one, and in 1900, a great fire completely destroyed the last wooden Daibutsu in Takaoka. Construction on this current copper rendition began in 1907 and was completed in 1933. Built by Matsuki Sozaemon and local coppersmiths, the current statue took nearly 30 years to complete. Numerous repairs and renovations have been undertaken since its completion, and it seems the upkeep of the Takaoka Daibutsu is a continual struggle, but then, at least copper can’t burn. A massive wintry wall of snow up to 66 feet tall flanks a highway through Japan's mountains. This isolated Japanese mountain village untouched by time showcases unique and stunning traditional architecture. An enormous dragon scales the walls of this 17-story temple. Abandoned limestone cave was once a sacred place of worship. Once an impressive link to Afghanistan’s Buddhist past, now a sad reminder of intolerance towards other cultures.